'Diasporas', as used in the title of this volume, refers to a multitude of groups and communities with widely differing histories, identities and current locations. This book brings together essays on theatre by people of African descent in North America, Cuba, Italy, the UK, Israel and Tasmania. Several chapters present overviews of particular national contexts, others offer insights into play texts or specific performances. 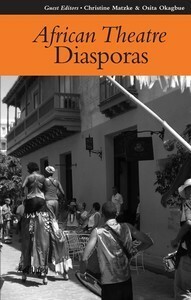 Offering a mix of academic and practitioner's points of views, Volume 8 in the African Theatre series analyses and celebrates various aspects of African diasporic theatre worldwide.